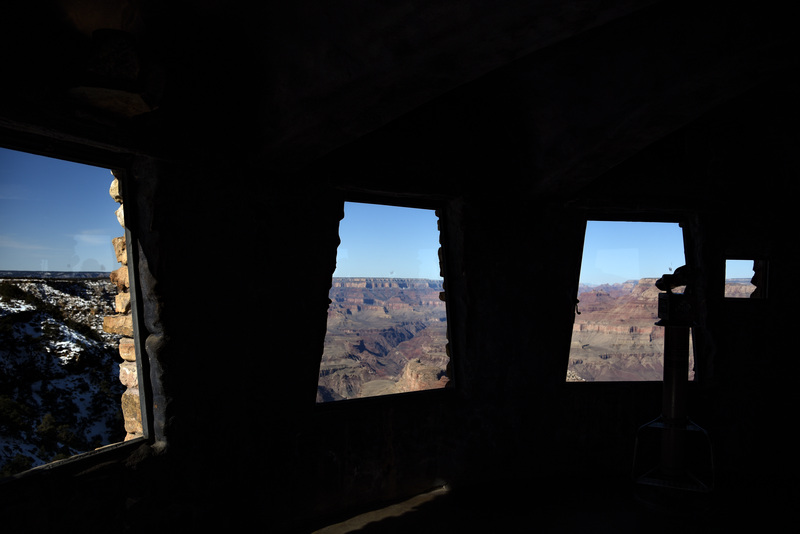 Along the edge of the Grand Canyon, the Desert Watch Tower stands out. 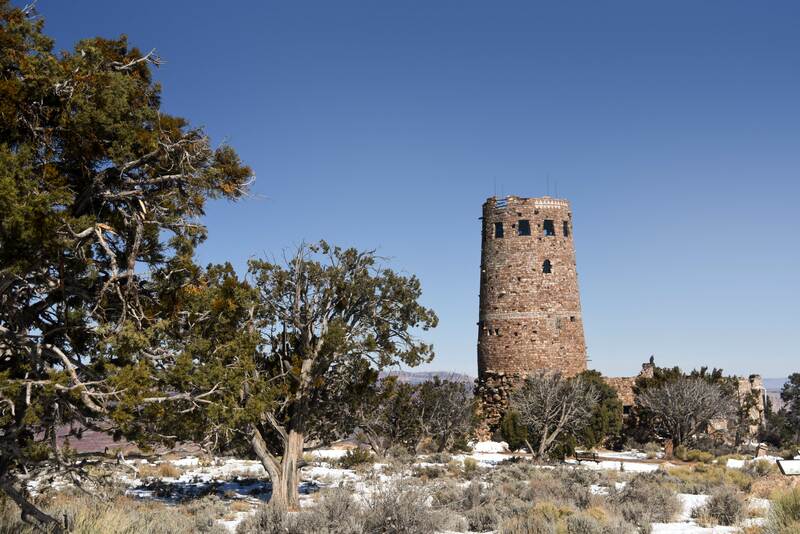 A rocky beacon rising tall above the trees. 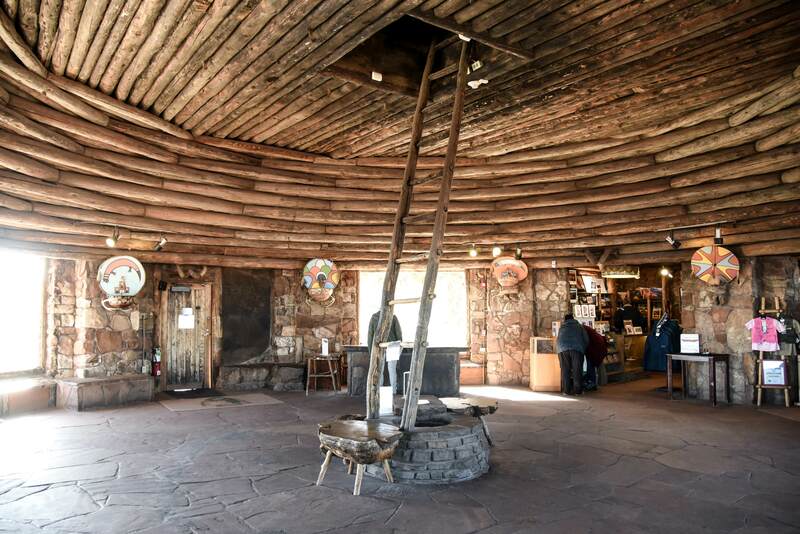 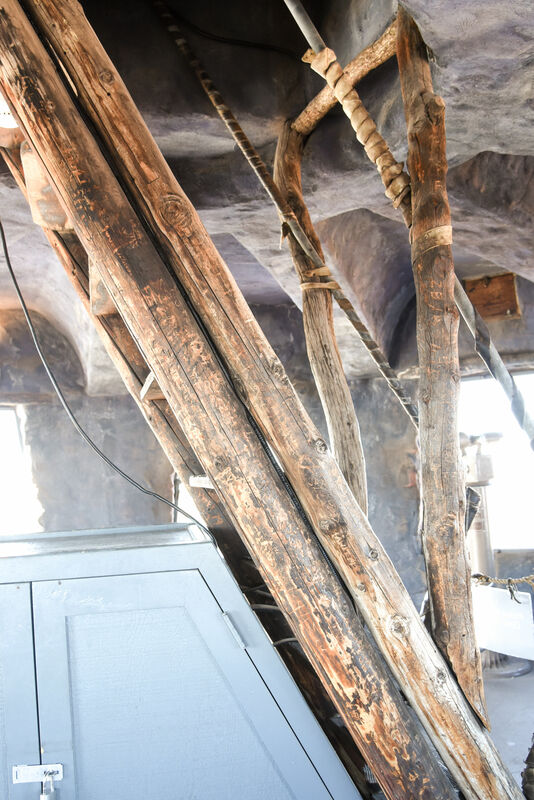 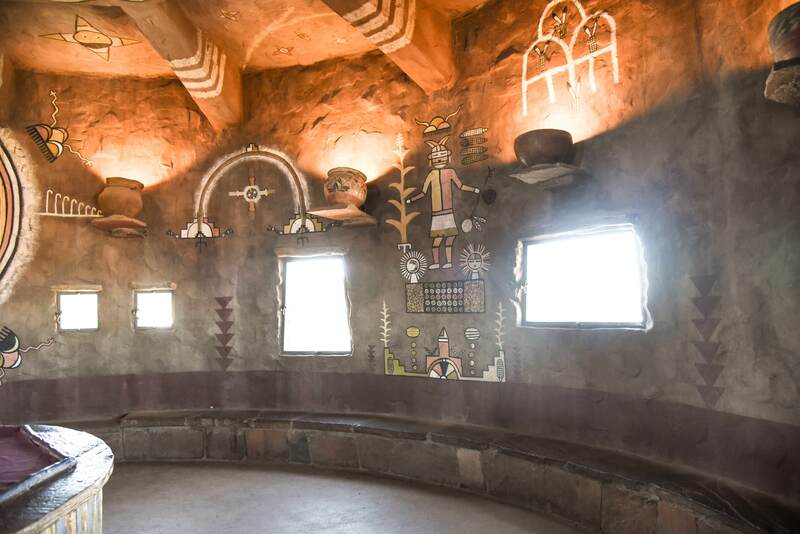 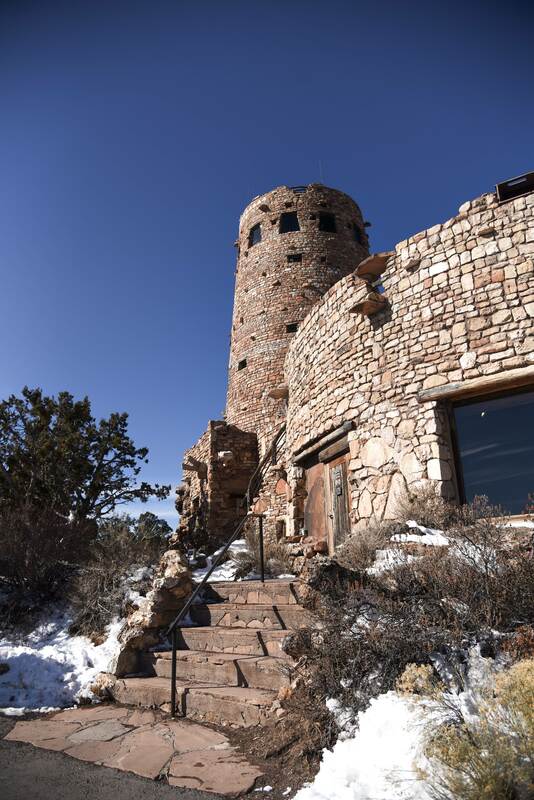 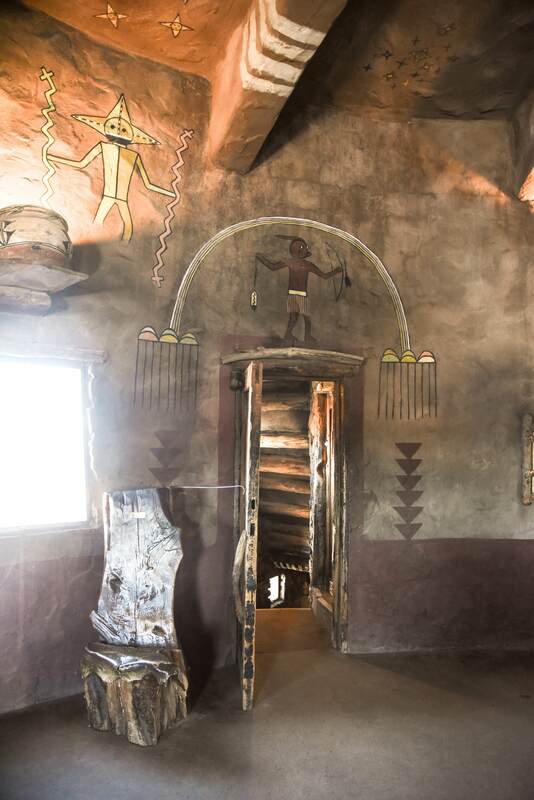 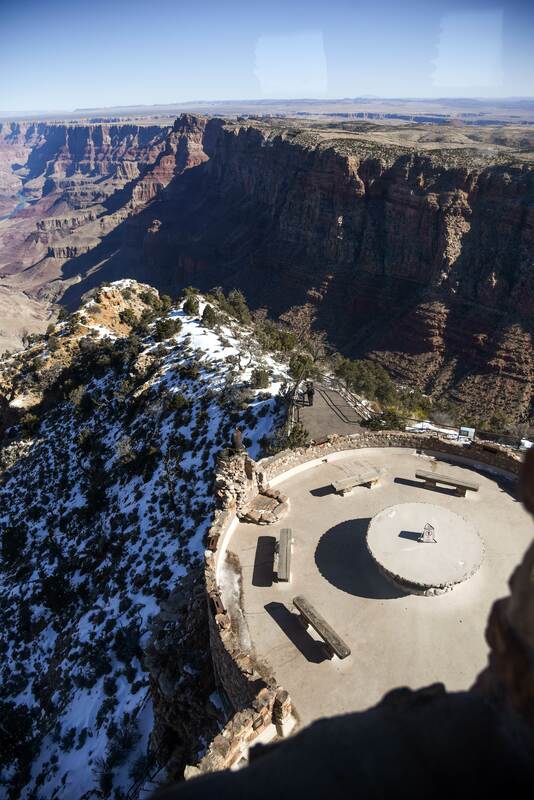 Designed to look like the remnants of a tower built by an ancient civilization, the structure was completed in the 1930s and contains a gift shop and many observations points overlooking the Grand Canyon. 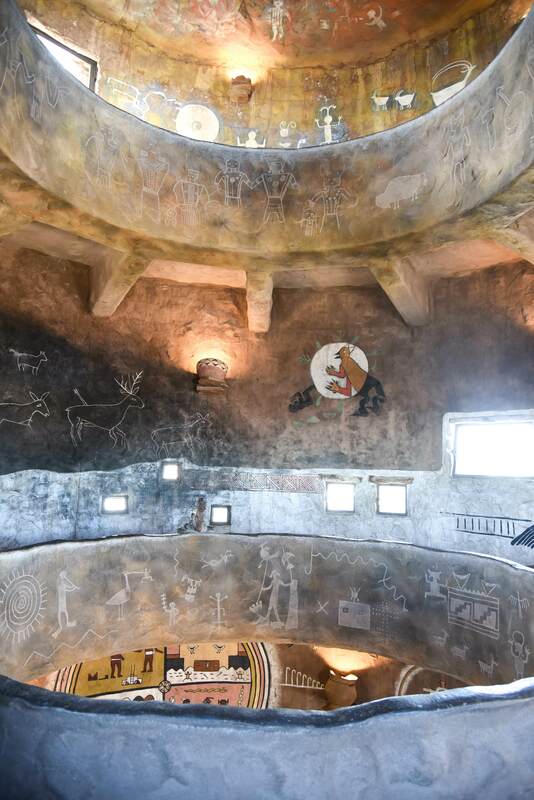 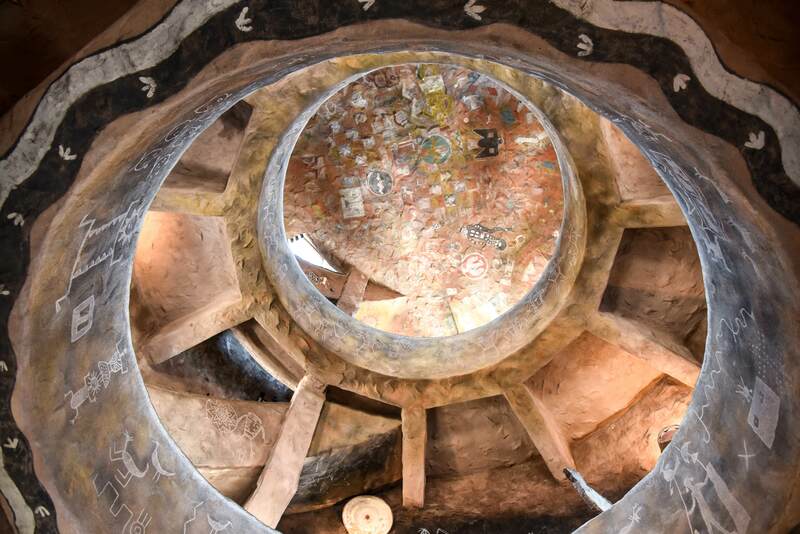 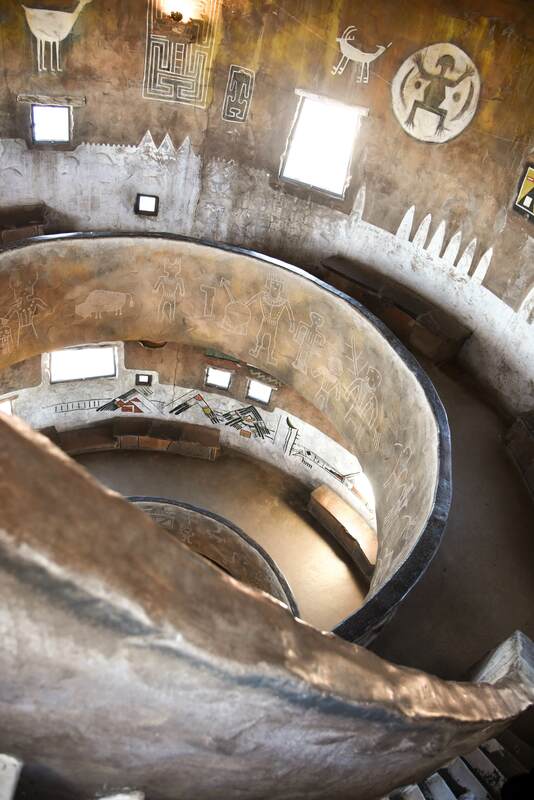 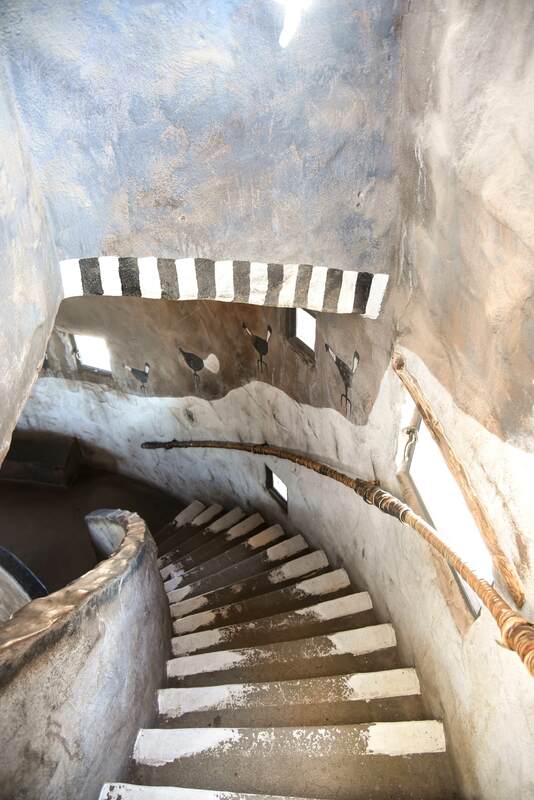 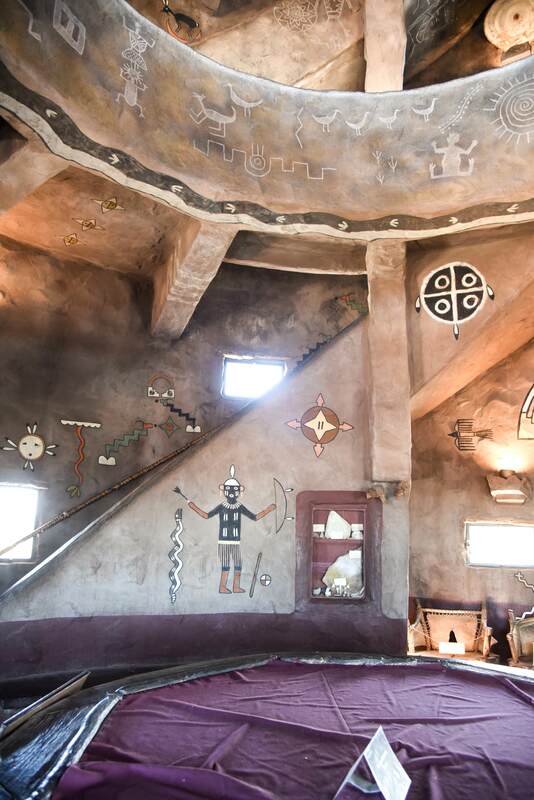 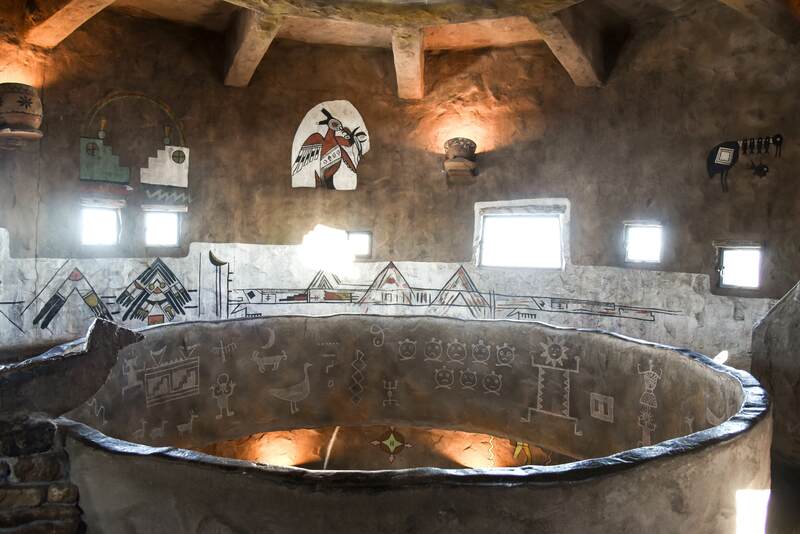 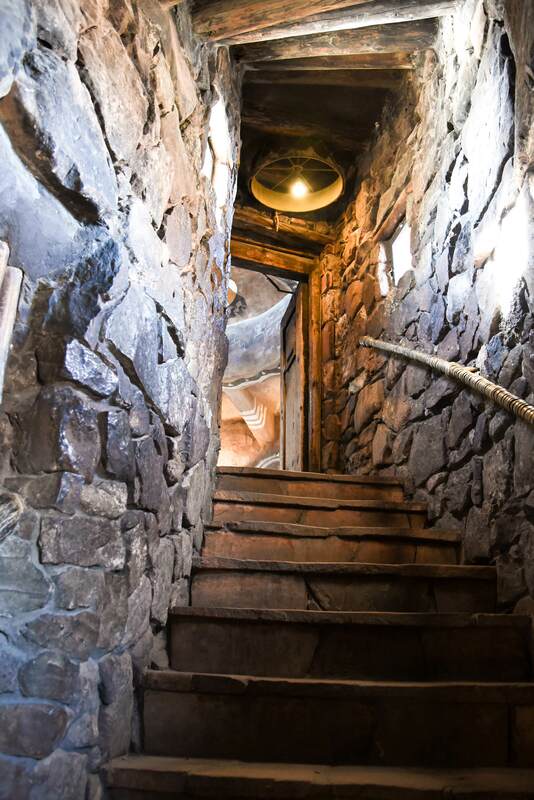 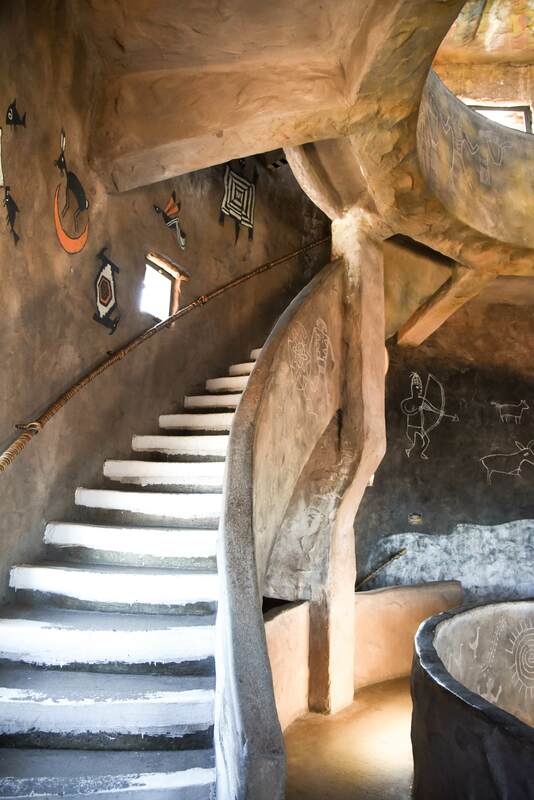 A circular staircase rises up four stories of the petroglyph covered tower. 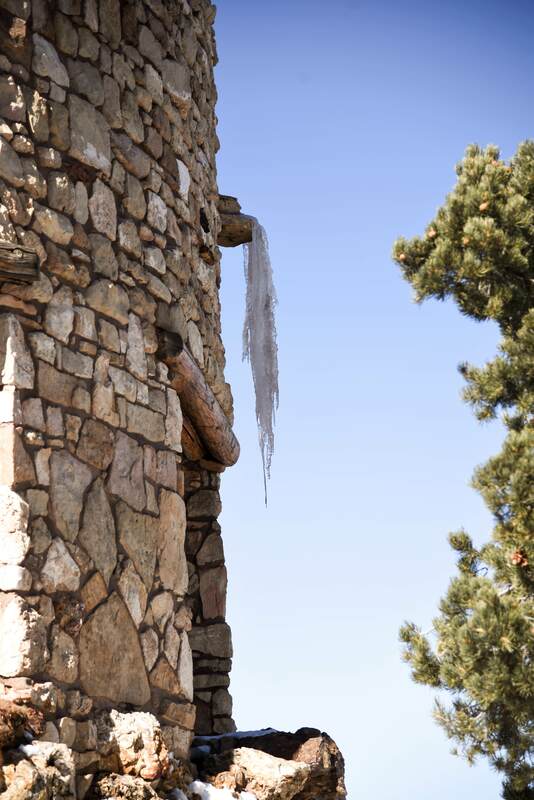 Another reminder of how cold it was! 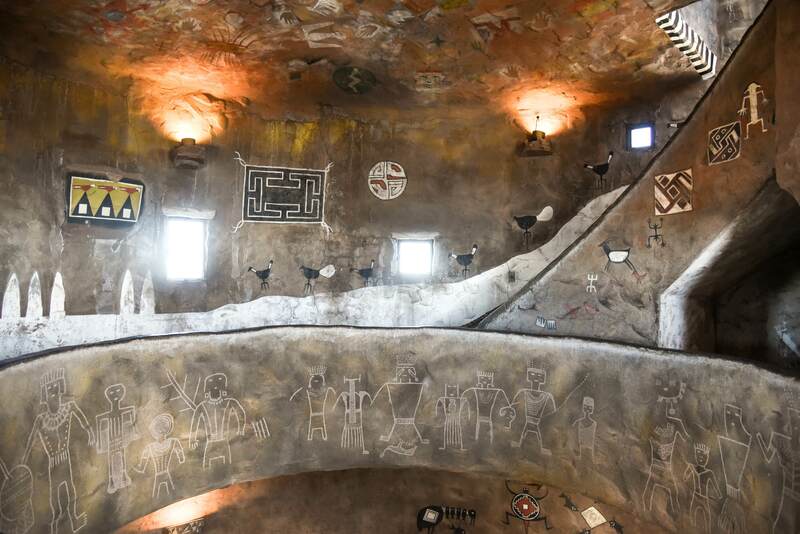 It was fun admiring all the charismatic petroglyphs on the way to the top. 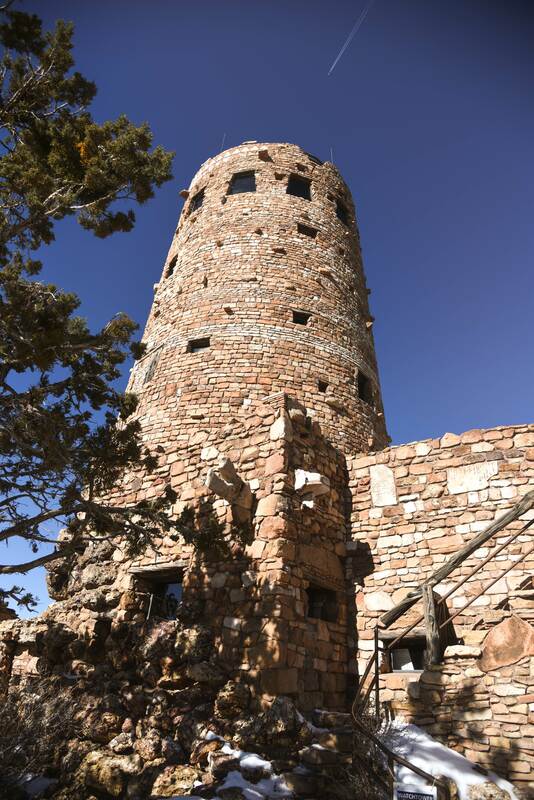 The Desert Watch Tower was definitely an interesting stop along the rim of the Grand Canyon.